CHILLIWACK, Oct. 3, 2018 – More than 300 fans packed the gymnasium at Sardis Secondary School last Friday night for an exhibition game between the Trinity Western University Spartans and the Columbia Bible College Bearcats. The fun-filled evening was sponsored by the Fraser Valley Bandits and Chilliwack Basketball Club. 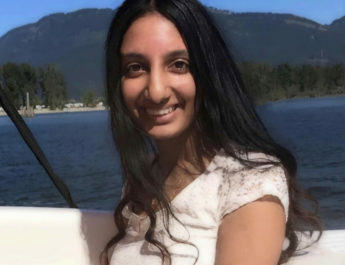 Top local talent from across the Fraser Valley was on full display as parents, friends and family came out to support the event. In the spirit of a friendly match, the fast-paced game saw the score reset every quarter. But that didn’t stop the Bearcats and Spartans’ players from putting on a thrilling performance. 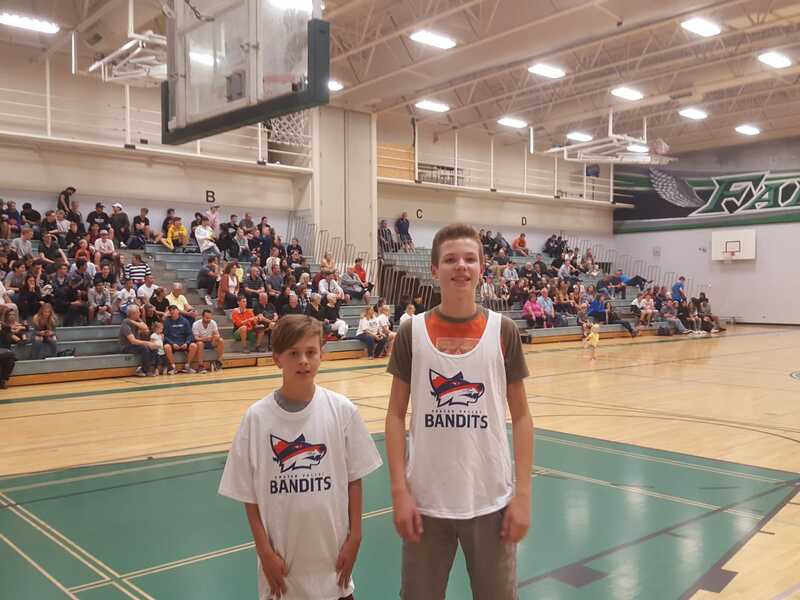 The Bandits’ director of business operations, Dylan Kular, was also on hand at the event in support of local basketball and to help educate the Fraser Valley community on what the region’s new professional basketball team has to offer. Between answering questions from fans, handing out Bandits information cards, and discussing the benefits of making a deposit on season tickets via the Bandits’ website, Kular couldn’t help but remark at the positive feedback he received from the crowd. “The energy in the building was electric. 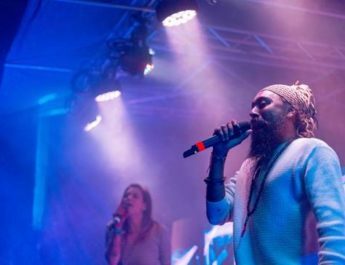 Not only did the Spartans and Bearcats put on a great show, but the audience gave us a roaring applause when we introduced the Bandits and how we’re excited to partner with local businesses, cultural groups and community organizations,” Kular said. 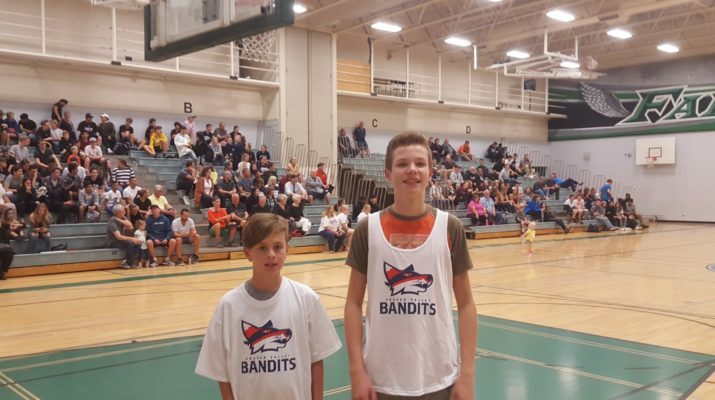 The Bandits would like to thank Sardis Secondary School, Kyle Graves, Director of Chilliwack Basketball Club, as well as Trinity Western University and Columbia Bible College for the integral roles they played in making last Friday a true success. Be sure to follow @fvbandits.cebl on Facebook, Instagram and @FV_Bandits on Twitter for the latest news and announcements from the Bandits and the Canadian Elite Basketball League. Photoed are of the two young Bandits fans, Boston Goe (left) and Evan Shea (right), that won tickets to the Bandits’ home opener thanks to the ticket giveaway that Dylan Kular hosted at the exhibition game.